In the heart of Shanghai, Z&B fitness center is hidden in a mall complex. The natural palette and calm atmosphere of the interior contrast the bustling scenes of the mall. The gym features three minimal class rooms, that are flexible in use to cater foa wide range of fitness and yoga classes for adults and kids. 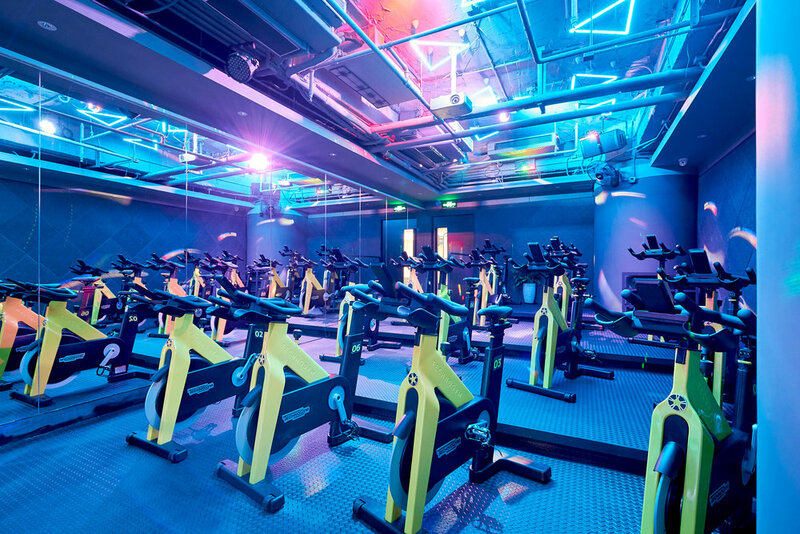 A separate cycling room features terraced bike platforms and colorful ceiling lights that createan energetic fitness space. While adults are in class, the childern can play in the kids room which features fun wall graphics. 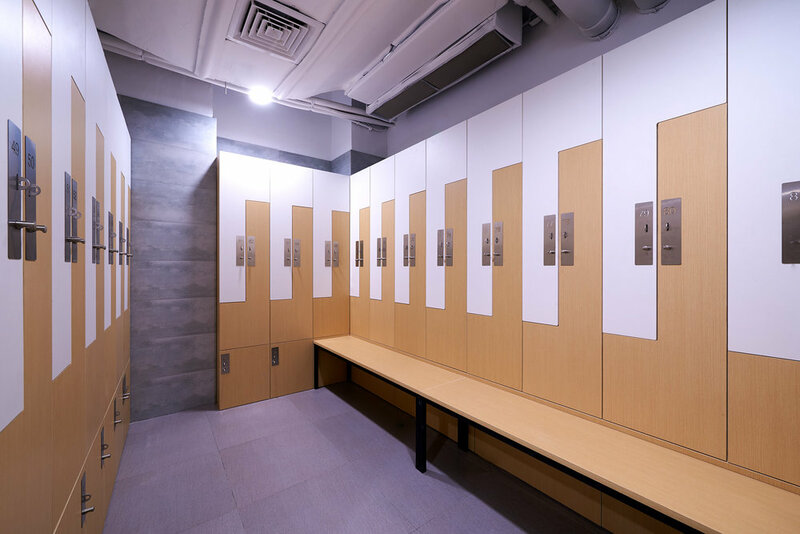 Locker rooms are secluded in the back and are designed with two slight different wood and color tones to distinguish men and women’s.